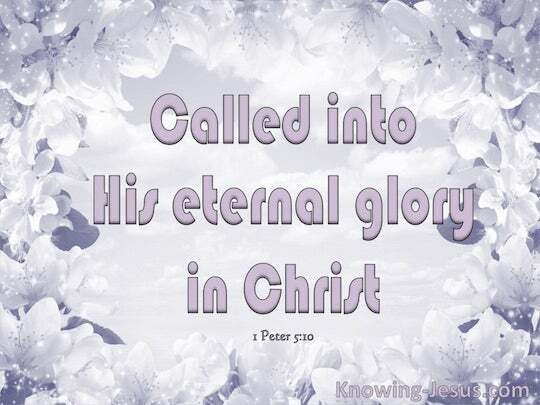 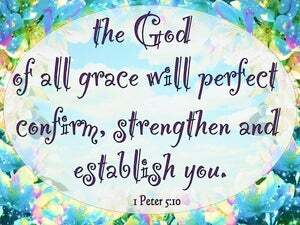 ﻿ 1 Peter 5:10 But the God of all grace, who hath called us unto his eternal glory by Christ Jesus, after that ye have suffered a while, make you perfect, stablish, strengthen, settle you. 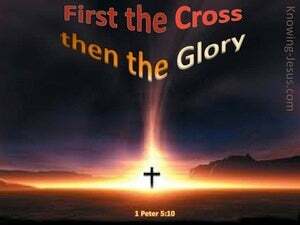 9 Whom resist stedfast in the faith, knowing that the same afflictions are accomplished in your brethren that are in the world. 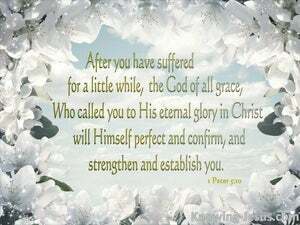 10 But the God of all grace, who hath called us unto his eternal glory by Christ Jesus, after that ye have suffered a while, make you perfect, stablish, strengthen, settle you. 11 To him be glory and dominion for ever and ever. Amen.